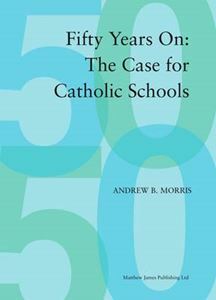 Considers why the existence of state-supported Catholic schools has become a matter of controversy and seeks to explain to both proponents and sceptics how the maintained Catholic sector originated, what it seeks to do and how it makes a positive contribution to society. Commenting about the book, Archbishop Vincent Nichols said, All who are interested in the debate on the place of schools of a religious character will find this book of great interest. This will include those who lead, teach in and support our Catholic schools as well as those who are interested in the issues that feature in this debate and who are prepared to take on board the evidence and detail which should inform that debate itself.